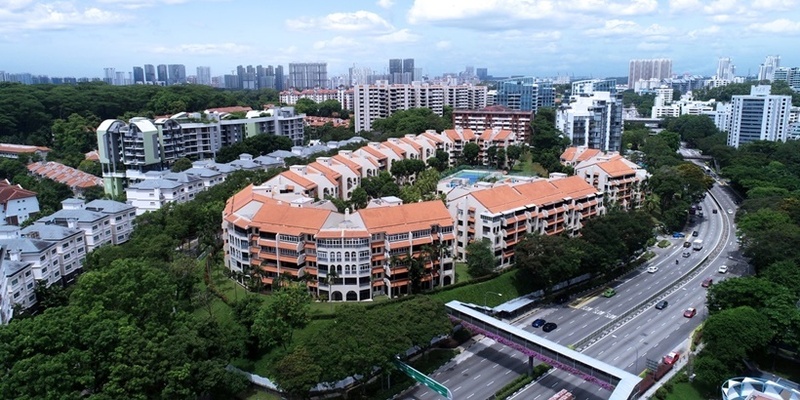 Edmund Tie & Company (ET&Co), the sole marketing agent for the collective sale of Spanish Village, said on Feb 11 that it is pleased to relaunch the freehold residential site for sale by tender. Built in the 1980s, Spanish Village comprises 226 apartments. Spanish Village is strategically located along Farrer Road, a mature and affluent residential estate in prime District 10. Sitting on sprawling grounds of 30,793.4 square metres (sq m) or 331,457 square foot (sq ft), the elevated site presents an opportunity to create a landmark development amidst a prestigious enclave. Situated close to the Singapore Botanic Gardens, a 158-year-old tropical garden and the country’s first UNESCO World Heritage Site, Spanish Village enjoys the tranquility and majestic views of the surrounding greenery. Under Master Plan 2014, the site is zoned for Residential use with a gross plot ratio (GPR) of 1.6. Spanish Village has unrivalled convenience. Not only is it directly opposite the Empress Road Market & Food Centre with many affordable, local delights, but it is also within proximity to a vibrant mix of eclectic lifestyle destinations such as Holland Village, Chip Bee Gardens and Dempsey Hill. A Pre-Application Feasibility Study (PAFS) was carried out by an appointed traffic consultant and an in-principle approval of up to 703 units has been obtained from LTA on 6 September 2018. Despite the cooling measures introduced last year, the Collective Sale Committee (CSC) had come to a decision to launch the tender the third time as it is the final chance that Spanish Village, being a choice site with many positive attributes, can have a shot at the market this round. The guide price for Spanish Village is $882 million, which reflects a land rate of $1,721 per sq ft per plot ratio (psf ppr) inclusive of a development charge of approximately $30 million. ET&Co said that owners are in the process of signing a supplementary agreement to lower the reserve price of their development to $828m. The tender exercise for Spanish Village will close on 11 March 2019 at 3:00 pm. Mr Paul Ho, chief mortgage consultant of iCompareLoan said owners of the collective sale relaunch site have to act quickly and decisively. The post Spanish Village up for collective sale at guide price of $882 million appeared first on iCompareLoan Resources.